A quick guide to Mozart's brilliant tragicomedy. The character of Don Juan (Don Giovanni) first appeared in a play by the Spanish playwright Tirso de Molina, El burlador de Sevilla y convidado de piedra (The Trickster of Seville and the Stone Guest), published around 1630. Don Juan has remained an iconic figure in literature. Among his various literary incarnations he features as the hero of a play by Molière and an epic poem by Byron, plays an important role in a play by Bernard Shaw, a novel by Sylvia Townsend Warner and a film by Ingmar Bergman, and was the inspiration behind John Berger’s 1972 Booker Prize-winning novel G.
Kasper Holten’s production focuses on the creative and seductive energy of Don Giovanni, an energy that has huge appeal but that can turn dangerously destructive. The set plays with themes of reality and imagination, with projections evoking Giovanni's state of mind at important points in the drama. The production also questions what hell might be like for a character like Giovanni, or for a contemporary audience. Mozart wrote Don Giovanni for the Prague National Theatre, where it opened to acclaim in 1787. Mozart made some significant changes to the opera for the premiere in Vienna the following year. For this first revival of Kasper Holten's production, some of these changes are introduced, including the decision to end the opera with Giovanni’s death, omitting the epilogue and final moral. Mozart was always keen to set himself new compositional challenges. 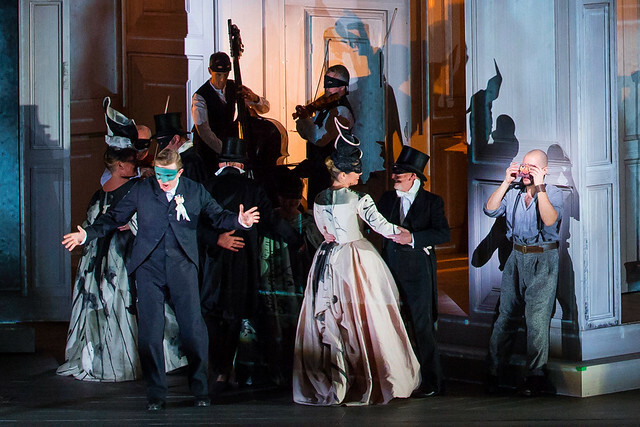 Novel effects in Don Giovanni include the three superimposed dance metres in the Act I finale and the rich chromatic harmony of Don Giovanni’s Act II scene with the Commendatore. Mozart also provides brilliant musical portrayals of his characters, particularly in Donna Anna and Donna Elvira’s introspective arias in Act II and in Don Ottavio’s arias expressing his love for Donna Anna. The production will be relayed live to BP Big Screens in the UK and streamed live around the world via YouTube on 3 June 2015. Find your nearest BP Big Screen andsubscribe to our YouTube channel. BP Big Screens will return on 22 September with a live relay of The Royal Ballet'sRomeo and Juliet. than the outstanding Mariusz Kwiecien! It´s a great pleasure for me, to get tickets for 5 shows and I can´t wait for this production and cast. I hope the ROH will do a DVD from that. Thanks Mr. Holten for your interesting Video Diary. I'm very curious and excited about the performances. I also hope for a DVD of the production!